Constitution Day is an American federal observance that recognizes the adoption of the United States Constitution and those who have become U.S. citizens. It is observed on September 17th, the day the delegates from the U.S. Constitutional Convention signed the Constitution in 1787. 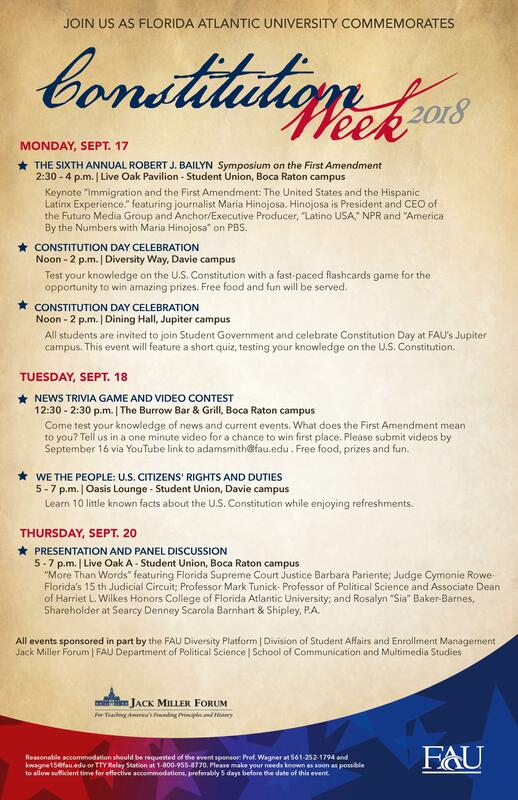 In observance of Constitution Day and to celebrate the principles enshrined in America’s founding document, the Jack Miller Forum at FAU hosts an annual series of events during the week of September 17th. 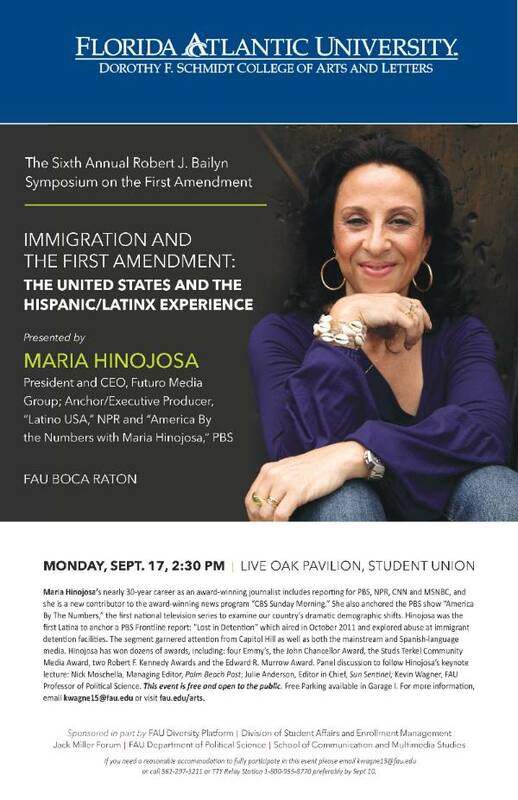 Participants include FAU faculty and students, as well as members of the general public. Events include guest lectures, teach-ins, an undergraduate essay contest and discussion sessions. In addition, the Jack Miller Forum works with university faculty to incorporate Constitution themes into their courses during the week of September 17th.